M.A. 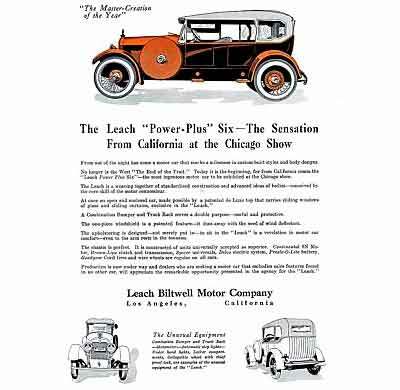 Leach is best-known today as the builder of the Leach Power-Plus Six aka Leach-Biltwell, a California-built high-class luxury automobile that found favor with Hollywood celebrities during the early 1920s. The car was not Leach’s first automotive venture as during the previous decade he had served as Dort’s West Coast distributor and had founded a highly-regarded Los Angeles-based automobile coachworks. A native Californian, Martin Andrew Leach was born in at Marysville, California on September 10, 1879 to Andrew Martin and Margaret I. (Pratt) Leach. As a youngster Martin worked in his father’s sawmill while he wasn’t attending the San Francisco public schools. Although he had planned on attending Stanford University, upon his graduation from a Palo Alto prep school, Martin took a job with the Scott & Van Arsdale Lumber Company, an Upton, California box manufacturer. He became foreman of the firm’s lumber yards after which he was promoted to assistant superintendent of the factory. In 1902 he resigned to become manager of the LaMoine Lumber and Trading Co. of LaMoine, California and in 1906 took a position as general manager of the Northern California Lumber Co. of Hilt, California. When that firm was sold in 1909 Leach was hired by the Pearson syndicate as its representative in the Mexican state of Chihuahua, where he worked for the Marlera Co. Ltd. The Mexican Revolution put a stop to that enterprise and Leach returned to California where he served as sales manager of the Danaher Pine Co. of Camino, California. By that time the automobile had become a common site in the state of California, and in 1914 he parlayed his extensive sales experience into a position as southwestern US sales manager of the Dort Motor Co. of Flint, Michigan. Leach married Miss Katie B.M. Ribble in December of 1905 and to the blessed union were born two children, Martin Carter, born in 1908, and Annette, born in 1912. 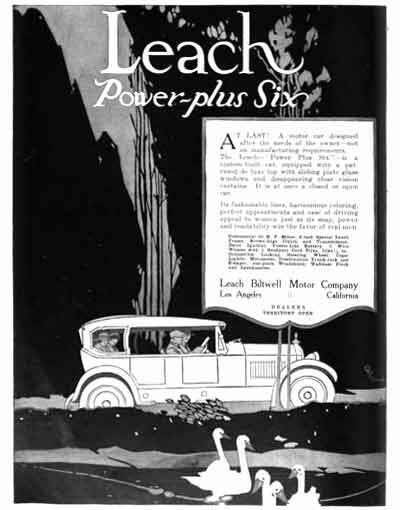 In 1915 Leach became Dort’s western sales manager and in 1916 established a factory branch for the firm called the Leach Motor Car Co. in downtown Los Angeles. Although the firm bore his name, it was actually controlled by a wealthy Okmulgee, Oklahoma millionaire, Dr. L. Sherman Skelton (1865-1921). Skelton had been a practicing Indiana physician until he moved to Oklahoma for his health in 1893 and started investing in the emerging oil and gas industry. The investment paid off, and he subsequently expanded into the glass, brick and cement business. In the middle-teens Skelton became interested in the automobile business and made a number of investments in the retail trade which were managed by W.A. Chapman, a former Dort executive, and acquaintance of Leach’s. A similar arrangement was made in San Francisco where J.W. Frawley fronted a Skelton-backed dealer group, the Leach-Frawley, and Frawley Motor Co. which were headquartered at 1417 Van Ness Ave. In 1917 the Leach Motor Car Co. bought out the English Motor Car Company, the Los Angeles King distributor, and soon afterwards added the Liberty and Premier automobiles to the Skelton stable. Skelton liked the Premier so much that in 1919 he purchased a controlling interest in the Indianapolis manufacturer. In 1920 Skelton introduced his own automobile, the Skelton, which was built under contract by the St. Louis Car Co. Production ended soon after Skelton passed away in 1919. In 1917 the Leach Motor Car Co. took over the former George R. Bentel service department at 1035 South Grand Ave. to serve as its main showroom and service depot. 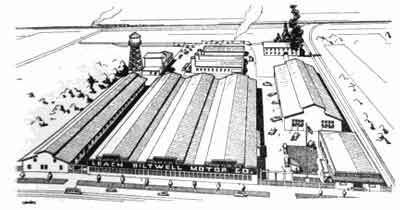 Bentel consolidated his Los Angeles operations in a newly constructed 4-story building located next door at 1015 S. Grand Ave.
Leach paid close attention to the success the neighboring Bentel Body Works were doing and in December 1917 formed the Leach-Biltwell Company in order to enter the field. He resigned from his position with the Skelton group in January of 1918 and took the proceeds and established his own body works at the corner of E. Eighth & Kohler Sts. on the first floor of a three story structure. Following Leach’s departure Skelton placed his numerous automotive holdings under a new holding company, the Security Motor Corp., which continued to operate the Dort, King, Premiere and Liberty distributorships in Los Angles, San Francisco and Phoenix. Initially the Leach-Biltwell Co. restricted itself to manufacturing automobile bodies and installing all-weather tops and painting and refinishing. They developed a good reputation amongst wealthy film stars and motion picture executives and soon had a full-time staff of fifteen. Many of Leach’s customers wanted to customize their vehicles with new radiator shells, fenders and wheels, in an attempt to disguise the often humble origins of the chassis. Leach reasoned that they would be willing to spend similar sums on a vehicle that incorporated those custom features as standard equipment. By the middle of 1919 Leach had amassed a small group of investors headed by Leon G. Martin and James H. Faircloth and recapitalized the firm for $1,000,000. The new influx of cash enabled Leach to return to his old showroom at 1035 South Grand Ave.
“Here is the car that represents the ideal for dealer and owner— distinctive — practical — and reliable. It is a motor car built to sell because it pleases the buyer and satisfies him as an owner. “Territory and good proposition open for Dealers. In November of 1919 Leach announced that he was in talks to acquire 120,000 sq. ft. of the former Los Angeles factory of the Republic Truck Company. 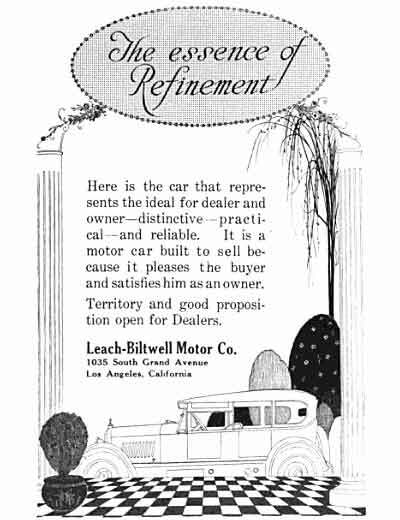 “Easterners, especially Detroiters, have been shaken in their skepticism over the Pacific Coast's ability to produce a quality car, is a fact evidenced in a recent letter to the Leach-Biltwell Co., of Los Angeles, builder of the Leach Power-Plus Six, from C.N. Graves, its Eastern purchasing agent. "When I first undertook the purchase of standard parts here for the Leach car some months ago," says Graves, "I found any number of trade experts who openly expressed doubt that a quality car could be successfully manufactured on the Coast. After our purchases mounted to really sizable proportions I noticed a corresponding interest among those prominently identified with the industry in Detroit. “Large Group of Buildings Acquired by Leach-Biltwell Company to Fit 1000-Production Program. 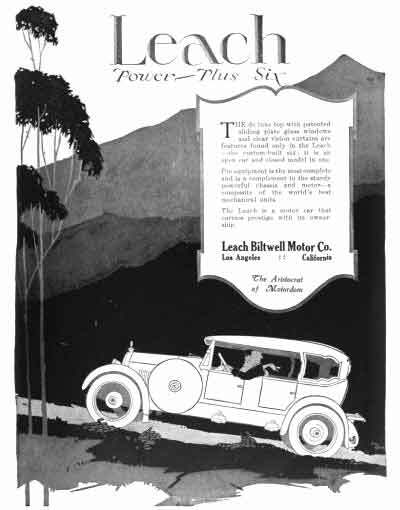 “The Leach-Biltwell Co., of Los Angeles, manufacturer of the Leach Power-Plus Six car has acquired the group of buildings formerly owned by the Republic Motor Truck Co. at Vernon and Santa Fe Aves. in Vernon, a suburb adjoining the city limits on the southeast. “The new plant is up to date, consists of four buildings of all-steel construction and a separate office building, and has 180,000 square feet of floor space. The plant has its own spur track communicating with the Santa Fe Railroad close by. “Every desire of the exacting motorist has been anticipated in the Leach—item- bodies all those features that identify the owner as one having individual taste and good judgment. But all of the "Leach" goodness is not on the surface alone—under the paint and trimming is a motor car that acknowledges no superior in design, quality of materials and workmanship. 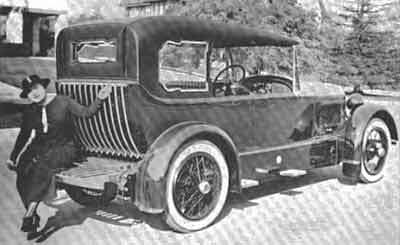 “No other motor car built has a stronger frame, sturdier axles, more efficient power plant or more dependable ignition system or transmission, and upon this foundation there is mounted the finest custom-built body ever turned out, with a De Luxe Top and Leach patented sliding glass windows and clear vision windshield. “It offers the most complete car built today— and the greatest intrinsic value for the price. “To the Dealer It Offers a Business Opportunity Because it is Designed to Please the Owner. “No manufacturing or marketing limitations handicapped the designing of the Leach. The car was conceived and built first upon the oft repeated requests and demands of the motoring public— After the car was perfected a factory was built and skilled men trained to produce the car as it should be— not as mechanical factors would have it. “That is why distributors from every part of the United States have eagerly sought the Leach franchise for their territory—because they know what kind of a car will please their customers—the ultimate owners. “Production is now under way and deliveries can be assured—but our output is limited only to the quantity that we can produce on the basis of quality. If you are interested as a dealer or as an owner we advise an early request for detailed information. 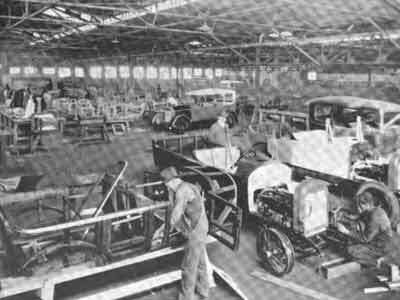 “Three hundred skilled mechanics, laboring in our big ideal plant covering twelve acres, are producing the Leach, the most complete motor car built today. An invitation is extended you to visit our factory and see for yourself how "honestly" the Leach is built. “Details of First Distinctively Western Automobile Which Ever Invaded an Eastern National Show. “East met West at the Chicago national automobile show. It found that West was West, most distinctively, in the display of the Leach Power-Plus Six, and it gave the newcomer a right hearty reception. “It was the first time that the West had rustled up nerve enough to invade the East with a Western-made automobile. 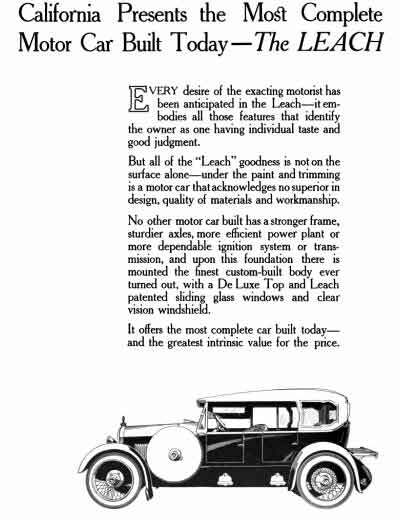 What the Leach car did at the show is not exactly the story it is purposed to relate here, except to say that the Leach-Biltwell Motor Co., of Los Angeles, its manufacturer states it garnered at the show upwards of $2,000,000 in contracts for 1920 delivery. “M.A. Leach, creator of the car, is correspondingly jubilant. Those acquainted with what the Leach-Biltwell Motor Co. has accomplished in the span of a few months declare that the happy result in Chicago could not well have been otherwise. The car exhibited there was completed in what was referred to only a few weeks ago as the only automobile manufacturing plant on the Pacific Coast, but which now is proudly described as one of the most scientifically perfect factories of its kind in the entire country. “In a plant covering 180,000 square feet of floor space, in a 12 acre tract, is a most interesting industrial sight. Here the buyer of a Leach Power-Plus Six can sec in rough lumber, in cast and forged metal, in fabric, rubber, glass, leather, and in a thousand and one other items, his car in the making. He could, if he had the time, start in one door with arriving material and follow it through the plant, emerging at another door with the completed car, ready to drive home. “All who visit the large factory are impressed with the convenient arrangements, the light and air that flood the place, and the evidences of perfectly functioning departments; as with the quality of materials and the expert workmanship. The development of the car, from materials to finished product, is a revelation. Parts are made, and as they are assembled the chassis takes form; motor, axles, gas tank, wheels and fenders take their places; and by the time the body is ready for installation the machine has been given its road test, first over pavements and then in some rough going. Then the deluxe tops, a distinctive feature of the Leach, are put on in the same custom-built manner in which the bodies are constructed. One sees the insertion of the unique plate glass windows, how the patented disappearing flexible curtains operate, and how lining and covering are applied to the top. Everywhere the utmost attention is given to details. “The plant is at 4800 Santa Fe Ave., within rifle shot of the mammoth Goodyear plant being erected. The company's own spur track connects with the Santa Fe railroad, close by. The plant includes two large dry kilns for seasoning the wood used for bodies and top. Other buildings include one for materials, administration headquarters and general offices, and a private water works. “The schedule calls for production of 1,000 cars in 1920. It is claimed no other car provides so many quality features, and the detailed description seems to support the assertion. “The Leach is an open touring model and a closed car in one—minus weight, and with a strong squeak and rattle proof frame, body and top. It is custom built throughout. The deluxe top is equipped with sliding plate glass & windows and clear vision curtains that operate easily and quickly and are carried out of sight when not in use. “The graceful lines of the custom built body are enhanced by the beauty and quality of the paint work, which though dark blue is standard—can be secured in any shade or color to suit individual fancy. “Especial attention has been given to the design and arrangement of the upholstery. The deep springs fit the body perfectly and a person of largest size will find utmost comfort in either the front or tonneau seats. Four passengers can ride comfortably, and five can be easily carried. Individual aluminum steps, illuminated automatically, take the place of a running board. A patented combination bumper and trunk rack at the rear serves its double purpose perfectly, as does a bumper at the front. “Hand-made bicycle type fenders cover each of the four wheels, a Motometer is provided, and a tool box with a complete kit is accessible from without the car. Two trouble lamps are mounted on the forward side of the dash, under the hood, for emergency use. The hood is made in two parts, each side being quickly detached and removed by one person. The spare tire and wheel with tire cover is carried on a rigid support at the side. Five wire wheels and 32x4½ Goodyear cord tires are regular equipment. “A one-piece patent type windshield and frame eliminates the unsightly rubber strip—keeps out rain, wind and dust and makes wind deflectors unnecessary. Ventilation is by a vent in the cowl, controlled from the dash. “The oval Waltham combination speedometer and clock with radiolite dial is said to be the finest and most accurate instrument of its kind ever produced and is to be found only on a few of America's highest priced cars. A trouble lamp with 17 feet of cord is mounted on the well-arranged dash, illuminating the ammeter and oil pressure gauge. A cigar lighter, with sufficient cord to extend to the tonneau. is provided. A gauge that records the contents of the gasoline tank is another important and convenient feature found on the dash. “The steering wheel is collapsible and tilts either up or down, and by inserting a small Yale key it can be released from the steering column, making the car theft-proof. “Miss Marcella Desmond, One Of The Fortunate Owners Of A Leach Power- Plus Six—A Los Angeles-Built Motor Car. “At the left, attached to the steering column, there is the manual control for the electric rear signal that flashes a semaphore telling the car behind you exactly what you are going to do—and complies with the law in all states requiring such a device. “Two locker compartments are provided for coats, robes and packages in the back of the front seat—also a flexible robe rail. “The mechanically inclined will find delight in the big, powerful, yet economical Leach Continental Red Seal motor with Rayfield automatic carburetor and improved two-unit Delco electric system. “The transmission and disc clutch are of Brown-Lipe make—claimed to be the very finest unit yet constructed. Spicer universals are used and Stan-Bar axles of -ft floating type carry the load. Big, strong brakes, 16x2 inches in size, are an assurance of utmost safety. Long, flat, Vanadium steel springs make for easy riding. The frame is the strongest possible. It is of special Leach design, constructed of 8 inch channels with hot riveted cross members, gussets and supports. The radiator is unusually large and well proportioned with a 4 inch core which provides ample cooling for the motor under the most severe hot weather conditions. It is supported on special Leach mountings that protect it from all twisting and road stocks, giving it much longer life. “Leach Car Scores in East. 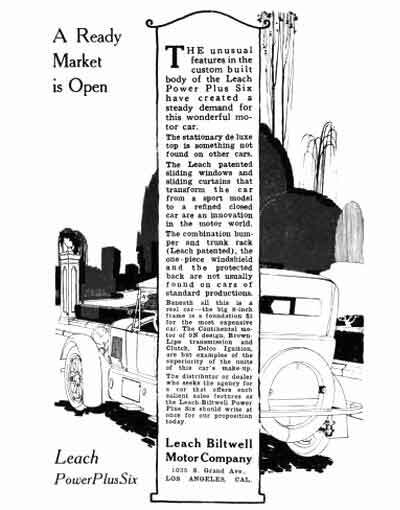 “Having the honor of being the first Pacific Coast motor car manufacturer to participate in a national automobile show, was not the only reason for jubilation by Martin A. Leach, of the Leach-Biltwell Co., of Los Angeles, over the success meeting the Leach Power Plus Six exhibit at the recent Chicago show. 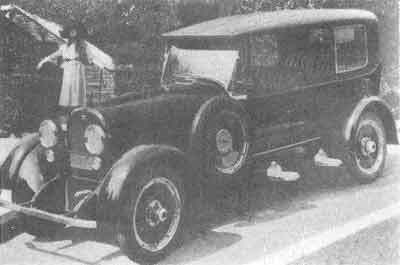 Celebrity owners included silent cowboy Tom Mix who owned a 1921 Leach single-seat roadster and Marcella Desmond, the sister of silent move stars William and Lucille Desmond, who owned a 5-passenger 1920 Leach touring with an attractive California top. The firm was recapitalized in mid 1921 for $5,000,000, and now included Harry A. Miller’s Engine and Foundry Works which were no longer needed by Miller, who had used the space to build aircraft engines for the Allies during the War. The Leach was available as a touring car or a roadster, many of which were equipped with an all-weather California Top, a hard-top with sliding windows on the side, which allowed the cars to be used either as sedans or touring cars. With a wheelbase of 134 in., the $6,500 Leach was impressive, originally powered by a 6-cylinder Continental engine and featuring cycle fenders, step plates, and a nickel-plated radiator shell similar to that of a period Buick. During its four years of production very few visual changes were made, save for a switch from wire wheels to more fashionable Disteel wheels during 1921. After Miller joined the firm, the Continental was replaced by a new 6-cylinder, 100 hp overhead cam engine of Miller’s own design. Leach-Biltwell’s directors now included: Grey M. Skidmore, John T. Dye, F.R. Richardson, Leon G. Martin, Martin A. Leach, J. Morgan, G.A. MacLean, E.L. Hoffman, James A. Mahoney, Harry A. Miller, James H. Faircloth, R.A. Wilson, Alfred Ashby, W.I. Wagner, and H.F. Conner. Leach remained president, Harry A. Miller, vice-president and James H. Faircloth secretary. Not much was heard from the firm during 1923 save for the introduction of a 4-cylinder companion car called the Californian. Its 50 hp was designed by Harry A. Miller, but by the time it was introduced the firm was in serious financial trouble. The Leach cars introduced for 1923 were simply the 1922 models with $1,000 slashed off their price tags. Operations moved from 4800 S. Santa Fe Avenue to a smaller facility at 112 West 9th Street and production of the Leach was discontinued shortly thereafter. In January of 1924, the firm’s management made an application to sell more stock with the California Corporate Commissioner, but he wisely denied the application, and the firm closed its doors soon after. Total Leach output has been reported as between 218 and 264 chassis, and only 3 California 4-cylinder chassis are thought to have been built.